While this tends to be a faith-walk type of blog, and not a theology blog, I’d be a fool not to admit that some of my biggest personal crises happen at the intersection of faith and theology. 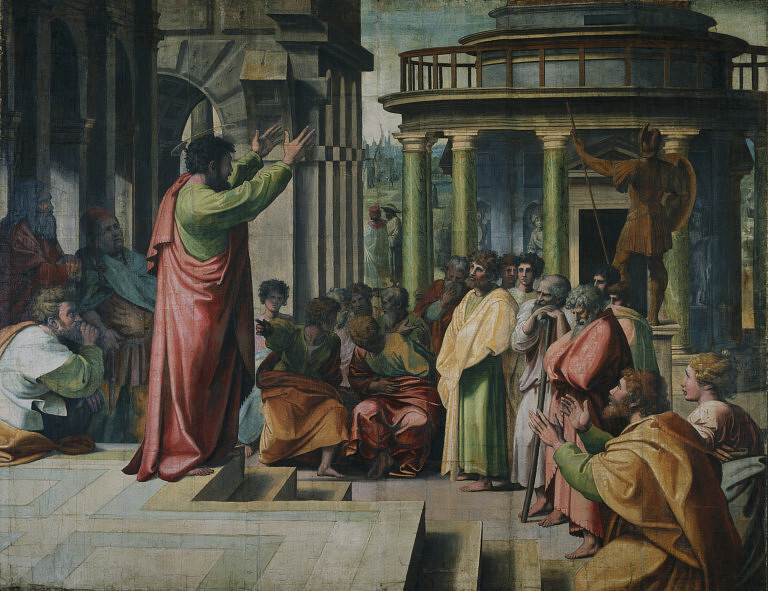 As this is an enormous subject, and as I am not a Bible scholar, this post is not meant to offer an authoritative stance on my part, or even to start a debate: it is simply an important part of my faith journey that I feel the need to share. I asked God to help me write something that honors Him but that expresses my struggle to understand certain parts of the New Testament, and this is the result. I always loved the apostle Peter. It seemed to me that he said whatever he was thinking before he had time to think about it. He was impulsive, given to emotional outbursts, and faltered under fear — and I could relate. Yet Peter always returned to Jesus, and he lived Forgiven. Paul, on the other hand, was never quite so important to me. I only started getting to know him several years ago, in a counselor’s office, as I worked through the concept of grace. Week after week I sat on that couch in the counselor’s office, crying, trying desperately to understand the doctrine of Grace, trying to accept the fact that God loves me completely, apart from anything I do or don’t do. It was truly some of the hardest work I’ve ever had to do, and it was during this period that I fell in love with Paul’s letters, especially the books of Romans, Galatians, and Ephesians. His teachings rescued my relationship with God and gave me the strength to move forward in a deeper understanding of Grace and the Cross of Christ. I learned that I can do nothing good enough to earn His love, that I can do nothing bad enough to stop His love. He simply loves and forgives on His own merit, not on mine. Years later, cracks would appear in my relationship with Paul’s writings. Texts like Colossians 3, I Corinthians 11 and 14, and I Timothy 2 were particularly troublesome to me and didn’t seem to jibe with what Paul had said in Galatians 3:28 — that in Christ, there is no Jew or Gentile, no slave or free, no male or female, for we are all one in Him. I wondered why Paul seemed so anti-woman in some of those passages. I became disenchanted, and no longer liked him. Did God love and respect women? Could women access God on their own, or did we need a husband? Suddenly Paul, whose writings on grace I had so cherished, didn’t seem quite so friendly to me anymore. Instead, he frustrated me. He’d had this intense personal encounter with Jesus, wrote half the New Testament, and was an apostle for crying out loud, yet his epistles seemed to me to be at odds with the life of Jesus. Jesus treated women with dignity, with respect, as though they were valuable. I couldn’t understand why Paul deemed women less-than, in both marriage and church life, and for years I harbored a secret grudge against him. I didn’t tell anyone. To say so seemed heretical, especially since his teaching on Grace had been so life-saving. And this wasn’t just about roles to me. In my marriage, I’ve always experienced mutual love, respect, and equality, and in church I’ve always been able to find meaningful ministry to pursue. So this wasn’t about real-life grievances either. Rather, it was a more fundamental problem – it was about whether God thought I was important. After all, one of His chosen vessels, Paul, didn’t seem to think so. It was about needing assurance of God’s love, and about whether my relationship with the Bible could withstand this storm. I was about to break fellowship with Paul over his view of women — basically, I was going to dump half the New Testament. I felt betrayed. The same Apostle whose words on Grace and salvation had been my rocks for years, was now turning on me. If he disrespected women, I didn’t want to receive comfort and hope from his other words, either. I knew I needed to make peace with this pillar of the early Church. I knew that if Paul disdained women – and by extension, that God disdained women – then I’d be out. I’d be done with this whole Jesus business, because I couldn’t love and worship a God who made me a woman yet didn’t love and value me on equal footing with men. If I’m going to follow God my whole life, I have to know I am worth something to Him. I needed this conflict to resolve, because I needed to love God. I took my first tangible step towards reconciling with the apostle Paul on a Wednesday night in 2011. We visited lots of churches before moving overseas, and that night we were at Adrian Christian Church. Paul Burhart gave the devotional that night, and his words rocked my world. He was the first to give me some perspective on Ephesians 5, the classic text on authority in the marriage relationship. Burhart described Ephesians 5 as a “race to the bottom.” He said the well-known instruction to wives to submit means “to position under.” But the instructions for the husband to “give up his life” like Jesus, mean “to surrender beside.” This set-up sounded far more like equality to me, more like Eden, and much more similar to what I had experienced in my own marriage. It’s sort of like a Slinky on a stairstep, where the wife places herself under, and the husband follows her lead, by placing himself on the step below, where they are equal, and they continually repeat this process, mutually submitting to each other in love. It meant so much to me that I scribbled notes into my Bible, where they remain to this day. Much later I would learn more specifically about Greco-Roman household codes and the subjugation women endured under that system. I learned that a woman was worth next to nothing in the 1st century A.D. I learned that a wife’s submission to her husband as “lord” was already assumed at that time. But Peter and Paul didn’t just leave women to fend for themselves in this system. Instead, after they instructed women to do what they were already supposed to be doing in that culture anyway, they commanded the men to treat their wives, servants, and children with kindness, understanding, and love. It was nothing like the culture of the day, where men could treat their families however they wanted. The new “Christian” culture Peter and Paul were introducing in their letters was totally revolutionary. What Paul was doing in his letters was actually emancipating women and making men and women equal – a shocking thing to do in the environment of the early Church. But for too many years, I didn’t know Paul was liberating men and women from rigid rules and roles, to be conformed to the image of the Son, in love, joy, and peace. When I understood some of the cultural background for the New Testament writers, I realized how countercultural Paul’s teachings really were, and I began to love him again. I could whole-heartedly embrace his teachings on grace again, knowing I was loved fully by the Father, that He created my inmost being lovingly and purposely, that my place in the Kingdom is secure, and the only mediator I need is Christ. In the end of my crisis of faith, I came to the conclusion that God considered me to have as much worth and value as any man. I came to believe that Christ’s sacrifice redeems broken systems and broken relationships. And in the end, I came to believe that Paul believed that too. It was thus that I regained my trust in Paul, breaker of the bread of life and giver of the gospel of grace. And it was thus that I began to walk forward again as a child of God, as a Daughter of the King. Post Script: After I wrote this blog post, I read the book Finally Feminist. 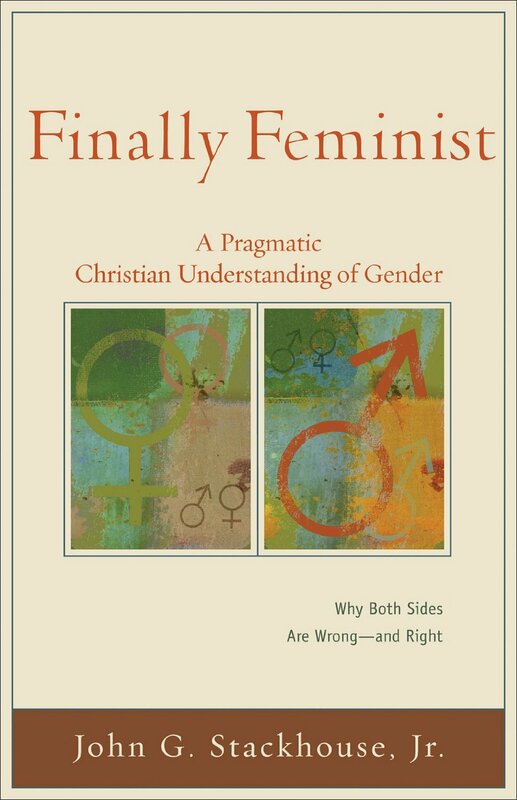 Author John G. Stackhouse, Jr. wrestles with both sides of the gender arguments — for we cannot pretend there are not seemingly opposing passages of Scripture regarding male-female relationships. Stackhouse deals with these issues through the lens of “the Kingdom now and not yet,” and his treatment of the Bible helped me see the big picture of Sin and Redemption more clearly, and made me fall even more deeply in love with God. A very satisfying little book, and I can’t recommend it highly enough. such a great way to explain Paul’s stance on women! i think that’s something a lot of christian women (especially from conservative backgrounds) wrestle with, but might be afraid to talk about, for fear of sounding feminist? i know i did, or at least used to – i’m not afraid of being called feminist anymore, haha, but that’s a whole ‘nother discussion! A whole ‘nother discussion, maybe, but my husband and I always joke that we are “Christian feminists,” you know, thinking women matter and have important things to offer the world and all. Basic stuff like that 🙂 But you’re right, I think a lot of women struggle with Paul, whether or not they ever tell anyone — I got lots of responses on FB and private messages on this one. Any woman who has read the writings of Paul (i.e. most of the New Testament) and isn’t already completely submissive to men to the point of doormat-ness (which would be most of us) has questioned these passages. I had a really hard time with them for a long time before finding a resource that really helped bring some enlightenment to not only the cultural context, but the actual meaning of the Greek words used based on word choice and meaning/connotation. I highly recommend the book. It’s called, “What Paul Really Said About Women” by John Temple Bristow. I loaned out a copy that I never got back, and bought another copy because I found it so helpful. It goes passage by passage through the “big ones” like being silent in church, the braided hair thing, and other question-provoking issues. Thank you so much for the book recommendation! I will look into both that and the article. It’s so wonderful finding biblical evidence for male and female equality, isn’t it? Oh Em Goodness. This is so helpful to read… I’ve been a closet Paul “struggler” and well, to borrow a biblical euphemism… “something like scales” have fallen from my eyes here. I am privileged to have a marriage like the one you describe with your husband so this has been a troubling place for me to reconcile with nicely. God didn’t have to let me reconcile but tonight, He did. Thanks. I’m so glad this has been helpful to you, Lorretta. And I have to say, it’s so nice when we can reconcile with Paul, isn’t it? Because the rest of his letters are priceless. This is really good, Elizabeth. Thanks for sharing!